Besides, strong dollar demand in overseas markets and a lower opening of the domestic equity market weighed on the rupee. The local currency on Wednesday ended by 10 paise lower at 70.80/$ on rising global crude prices and heavy foreign fund outflows. On the economy front, the government is due to release wholesale inflation data - based on the Wholesale Price Index (WPI) - later in the day. 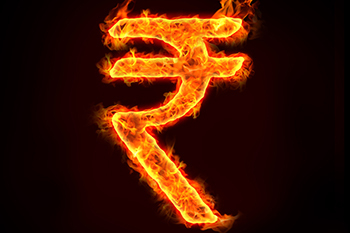 The Reserve Bank of India’s (RBI) reference rate for the dollar stood at Rs70.55, while for the Euro it was at Rs79.95. The RBI’s reference rate for the Yen stood at Rs63.78; the reference rate for Great Britain Pound (GBP) was Rs91.13.